Many patients fear that getting counselling means there is something wrong with them or that it may indicate weakness and inability to cope with treatment. Nothing could be further from the truth! The journey of fertility treatment is considered to be a major life stress and is often described as an emotional rollercoaster. In the area of infertility, the Psychologist plays various roles, including that of support person, educator, counsellor, therapist, mediator, and life coach. Counselling provides ongoing non-judgemental support at a time when you may feel most vulnerable, and aims to equip you with the support and skills needed to manage some of the emotions and day-to-day stresses of treatment. How do I deal with friends/relatives who are getting pregnant and having babies? Whom do I tell and what to tell? How do I deal with unwanted questions and/or comments? How do I keep my relationship strong? How do I deal with the workplace and frequent absences? How do I find strength and strategies to keep going cycle after cycle? How do I deal with the sadness of losing a baby? How do I make the decision to stop treatment? How do I come to terms with having no children? It is strongly recommended that anyone undergoing fertility treatment attend at least one counselling session. During counselling, you will have the opportunity to debrief about your personal fertility journey and learn practical strategies to prepare for and manage the rollercoaster of emotions associated with infertility and treatment. You may identify thoughts, feelings and behaviours that may be of concern and work with your psychologist to gain new insights and strategies. Or you may just need ongoing support and encouragement. Please be assured that counselling sessions are confidential* and your information will be treated with the utmost respect. 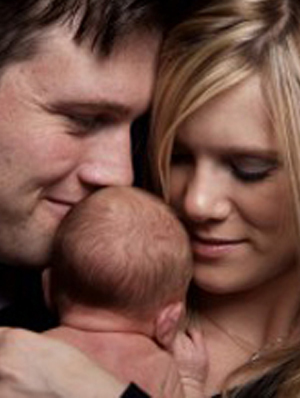 We encourage you to utilise the sessions offered at the clinic, they are included within the cost of each IVF cycle. We look forward to sharing this journey with you! We warmly invite you to utilise the counselling services available through Fertility Solutions. You are entitled to one free counselling session for each IVF cycle, and most private health funds offer rebates for additional sessions. If you or your partner would like someone to support you through your journey please contact either Rine and Jeanne directly. To schedule a session with one of our fertility counsellors, please phone (07) 5478 2482 on the Sunshine Coast and (07) 4151 5222 in Bundaberg. You may also enjoy reading Helping Others Understand Your Infertility: A Guide For Family and Friends. * In exceptional circumstances Psychologists are bound to disclose information, including subpoenas or where potential harm to person(s) exist. Counselling required as part of donor assessments involves reporting to the Clinic – please discuss the limits to confidentiality in this case with your Psychologist.